This listing has an historical, both personal and chronological, perspective because that is often what I most enjoy - when and how I experienced something often times is more important to me than what others may judge as objective criteria. This listing also changes. Films that were favorites in the past may fall out of favor after re-seeing them. 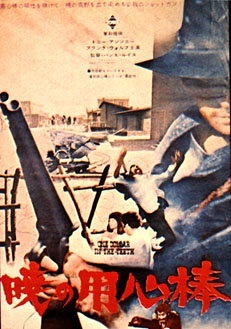 Growing up an Army brat on Okinawa, I had access to the movies which played at the on-base theaters, and those which played at the off-base theaters. I think I was 8 when I saw APACHE GOLD, aka WINNETOU 1. 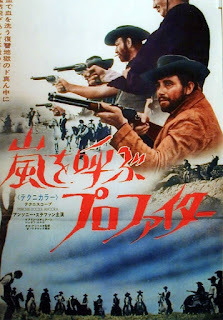 TEIL, and my older brother Patrick told me that it was a German Western. 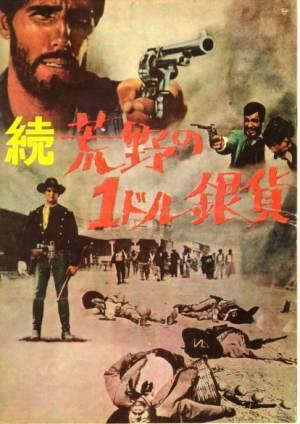 When I was 10 and my family went to see A FISTFUL OF DOLLARS, we all knew that it was an Italian Western. My mother embraced the critical opinion that FISTFUL was too violent, so I accepted that it wasn't any good. 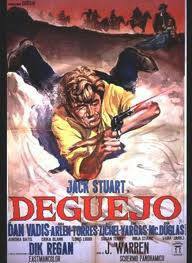 Around this time, I saw a Spy movie at an off-base theater and witnessed the preview for DJANGO. I thought it was the most ridiculous-looking movie ever with people being machine-gunned right and left. I recounted my memory of that trailer many times, but my curiosity was arroused by seeing the 45rpm single on the jukebox at the Daimaru Bowling Alley. Then came the fateful day I went to see MODESTY BLAISE at a movie theater in Futenma. I arrived early and so caught the last half of THE RETURN OF RINGO. 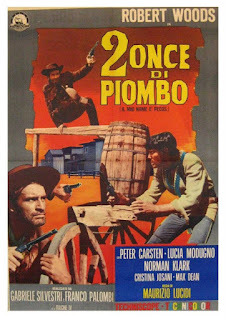 1) IL RITORNO DI RINGO, aka THE RETURN OF RINGO - This was the movie which changed my attitude toward Italian Westerns and it remained my favorite Giuliano Gemma film. I had never seen a Western which had the romantic impact that this film had. And having the hero go into the final fight with a broken gun hand was bracing. I later found out that director Duccio Tessari and star Gemma made one of my favorite mythological films, ARRIVANO I TITANI, aka SONS OF THUNDER, aka MY SON THE HERO. 2) PERCHE UCCIDI ANCORA, aka WHY GO ON KILLING? 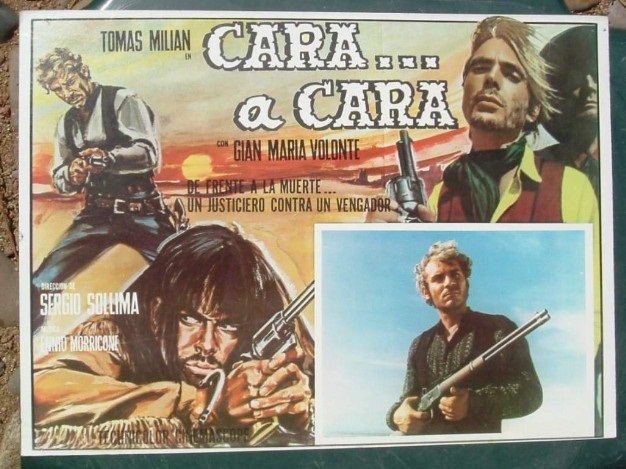 - This was the first Italian Western I went to see because it was an Italian Western - though as the director was Jose Antonio de la Loma perhaps I should say it was a Spanish Western. 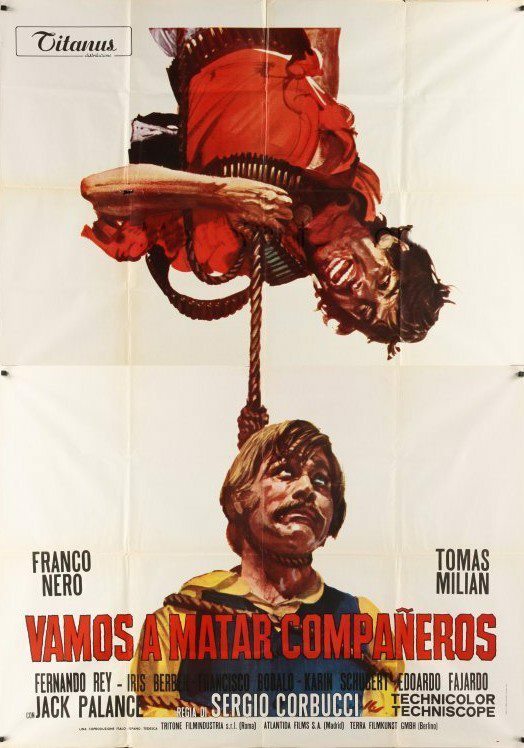 The casual brutality of the opening execution was shocking and the persona of star Anthony Steffen was something I hadn't before seen. 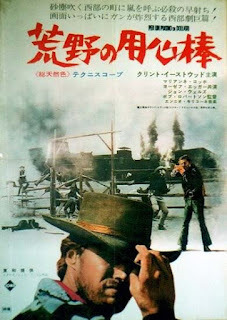 This was the first Western in which the ending was suspenseful as I wasn't certain our hero would win. 3) DEGUEYO - Having seen John Wayne's THE ALAMO four times, I understood what the title of this movie meant and it was the second Italian Western that I went to see because it was an Italian Western. Again the casual brutality of the film was shocking, as was the fact that the heroine didn't survive. With both of his hands damaged by rope burns, Giacomo Rossi Stuart went into the final battle with Dan Vadis crippled and I wasn't certain that our hero would win. 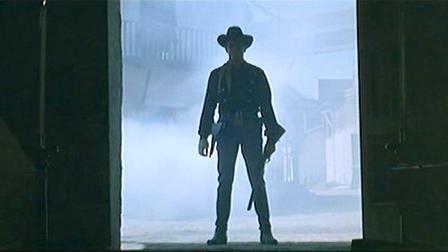 This was something that I had never experienced in an American Western. 4) DJANGO - After ridiculing it for about a year, this Sergio Corbucci directed flick was re-released at the off-base theaters on a double-bill with PER UN PUGNO DI DOLLARI. This was my first experience seeing an Italian Western in Italian with Japanese subtitles, but it did not harm my enjoyment of the action. Again our hero goes into the final fight with crippled hands and the suspense was intense. I am now grateful that I didn't first experience this movie with the English dialogue track, because that version ruins the ending. 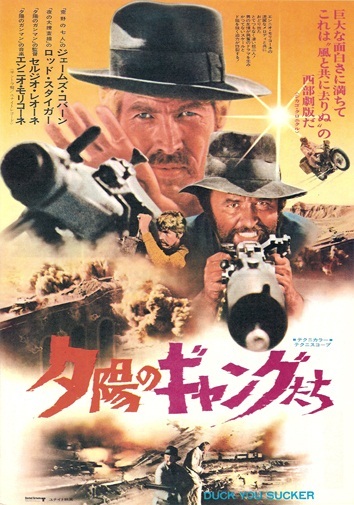 The elegance of Major Jackson shooting with "In the name of the Father (bang), and of the Son (bang), and of the Holy (bang) Ghost (bang)" was brilliant and the fact that the English dubbers didn't use that was criminal. Thankfully, the Blue Underground DVD allowed Americans to watch the movie in Italian with English subtitles. I found out later that Corbucci had directed by favorite mythological film, ROMOLO E REMO, aka DUEL OF THE TITANS. 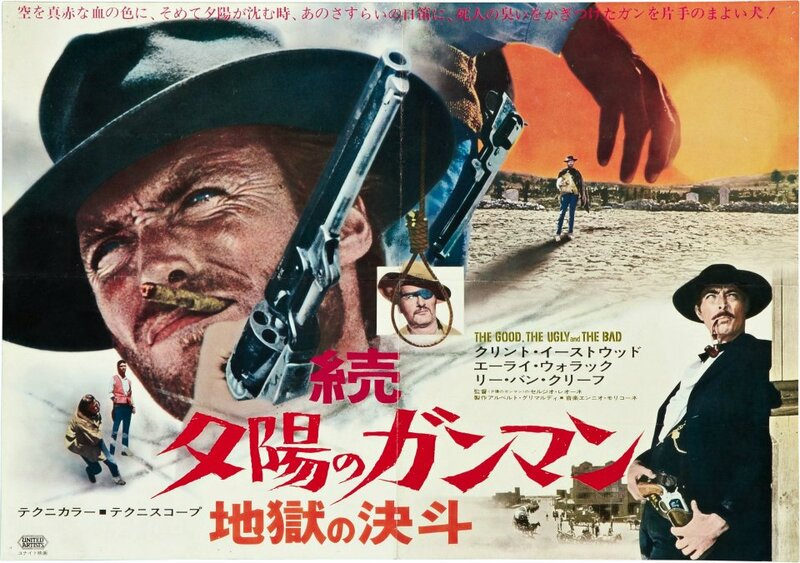 5) PER UN PUGNO DI DOLLARI, aka A FISTFUL OF DOLLARS - Rewatching this movie in Italian with Japanese subtitles helped me to re-evaulate Sergio Leone's first Western. 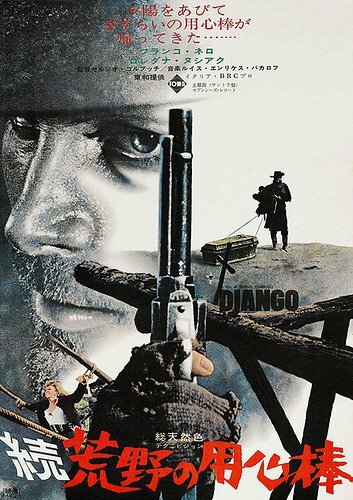 However, I was such a fan of DJANGO, that I convinced myself that DJANGO came first and that Leone had ripped off Corbucci. That made four out of five films in which our hero goes into the finale with a wounded hand, though I suppose we should all thank director Akira Kurosawa with that plot element from YOJIMBO. I found out later that Leone had directed another of my favorite sword and sandal films, IL COLOSSO DI RODI, aka THE COLOSSUS OF RHODES. 6) PER QUALCHE DOLLARI IN PIU, aka FOR A FEW DOLLARS MORE - When the second of the Sergio Leone/Clint Eastwood collaborations came out, I was primed and rushed to the theater. With a bigger budget, Sergio Leone enriched his approach to Westerns, introduced Lee Van Cleef as a lead, and popularized the term "bounty killer". 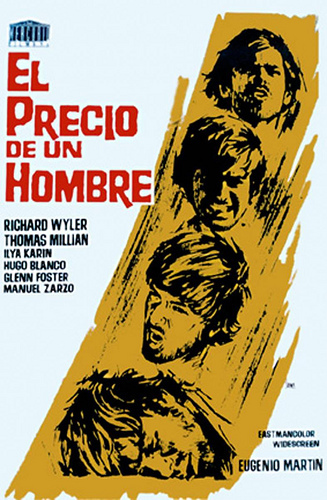 7) EL PRECIO DE UN HOMBRE, aka THE BOUNTY KILLER, aka THE UGLY ONES - While this was directed by a Spaniard, Eugenio Martin, the film played the Japanese circuit in Italian with Japanese subtitles. Luckily I had already fallen in love with the movie before the American version with the title THE UGLY ONES came to Okinawa because that version had dialogue so out of sync that the audience laughed. Tomas Milian may have played the bad guy, but all of the publicity material showcased him and helped to make him a star. 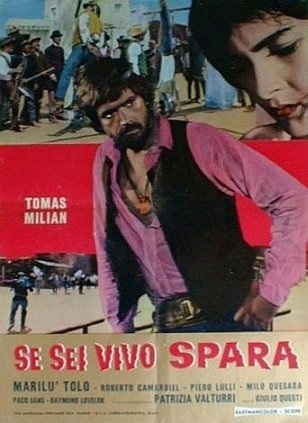 8) SE SEI VIVO SPARA, aka IF YOU LIVE, SHOOT!, aka DJANGO KILL - Director Giulio Questi and Tomas Milian got the money to make a Western and the result was a perverse art film. Again I was lucky to have orginally watched this in Italian with Japanese subtitles because the English language version ruins the film. Again, thankfully, the Blue Underground DVD can be seen in Italian with English subtitles. 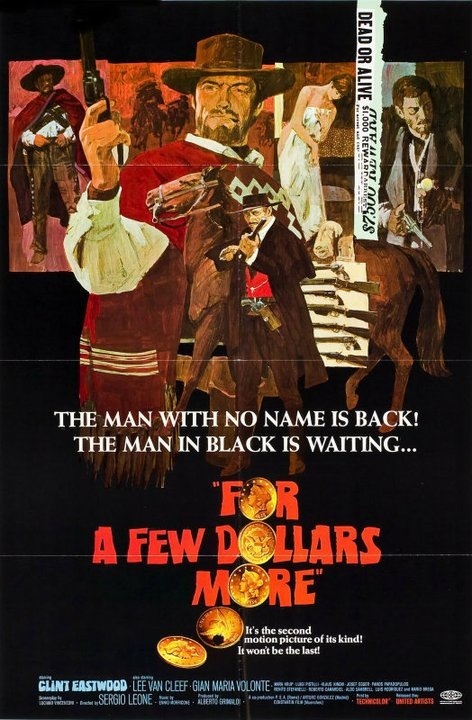 9) UN DOLLARO TRA I DENTI, aka A STRANGER IN TOWN - Director Luigi Vanzi and star Tony Anthony showed how to do A FISTFUL OF DOLLARS on an even lower budget, and Anthony's connections to Allen Klein got a U.S. distribution deal with MGM which proved so successful that sequels were ordered. 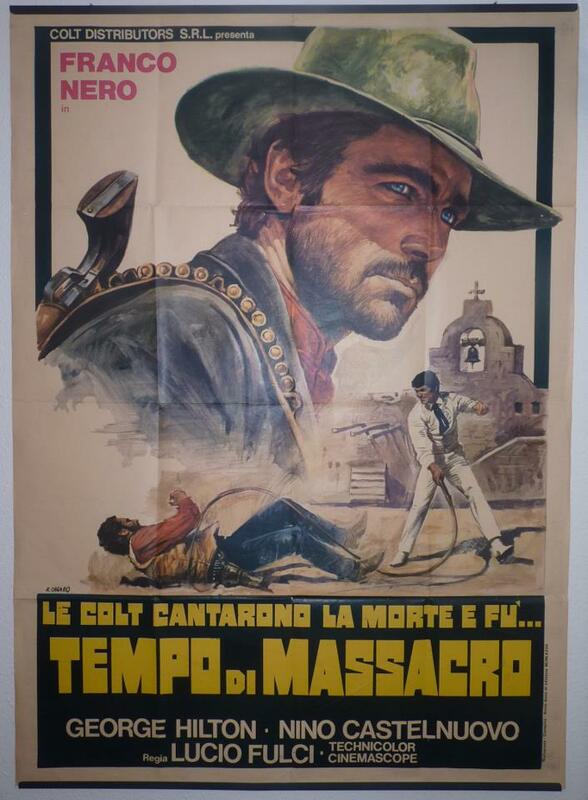 10) LE COLT CONTARONO LA MORTE E FU... TEMPO DI MASSACRO, aka MASSACRE TIME, aka THE BRUTE AND THE BEAST - Director Lucio Fulci emphasized the gothic elements which directors Leone and Corbucci infused their Westerns, solidified Franco Nero's star status and introduced George Hilton. 11) IL BUONO IL BRUTTO IL CATTIVO, aka THE GOOD THE BAD AND THE UGLY - Leone took on the epic adventure and changed American culture. 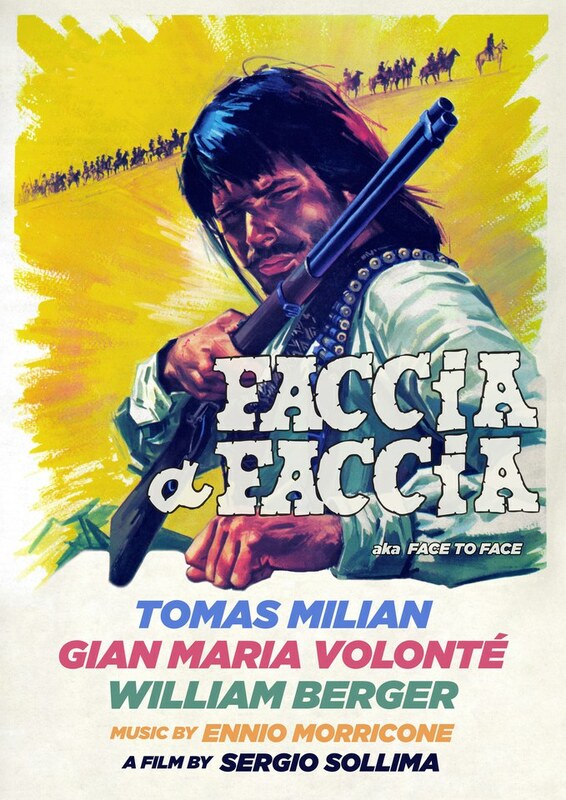 12) FACCIA A FACCIA, aka FACE TO FACE - Director Sergio Sollima brought an intellectual element to the Italian Western with Gian Maria Volonte, Tomas Milian and William Berger. Carole Andre as Cattle Annie made an indelible impression. 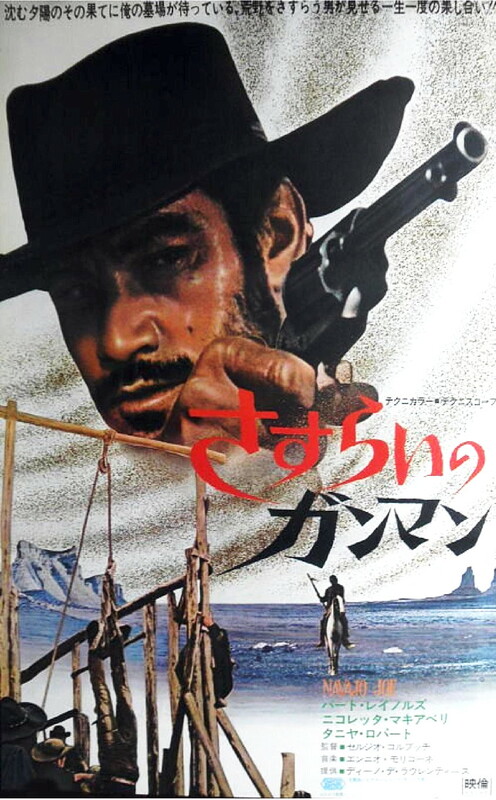 13) NAVAJO JOE - Director Sergio Corbucci, star Burt Reynolds and composer Ennio Morricone brought an intense physicallity to this revenge tale which made for exhilarating viewing. 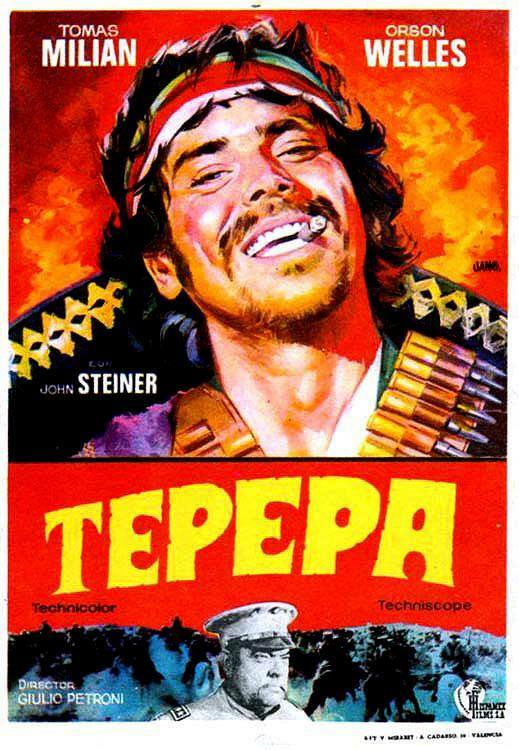 14) QUIEN SABE?, aka A BULLET FOR THE GENERAL - Director Damiano Damiani's film set during the Mexican Revolution introduced the idea of using popular action stories to spread political ideas. 15) 2 ONCE DI PIOMBO, aka MY NAME IS PECOS - I didn't see this until the 1980s, but this tale of a Mexican gunman getting revenge on racist gringos was a welcome change of pace and was probably Robert Woods' best Western. 16) VAMOS A MATAR, COMPANEROS, aka COMPANEROS - Director Sergio Corbucci did two films about a mercenary trying to make a buck during the Mexican Revolution. I prefer this one over IL MERCENARIO, aka A PROFESSIONAL GUN, because of the interplay between Franco Nero and Tomas Milian and the fact that our hero commits to the cause in the end. 17) TEPEPA - Another film dealing with the Mexican Revolution, TEPEPA offered Tomas Milian a opportunity to create a character of depth under the direction of Giulio Petroni and able support by John Steiner. 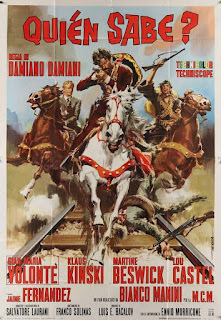 18) IL GRANDE SILENZIO, aka GREAT SILENCE - With Jean-Louis Trintignant, Vonetta MacGree, Klaus Kinski and Frank Wolff, director Sergio Corbucci made the ultimate statement about an hero going to the final shootut with crippled hands. 19) GIU LA TESTA, aka DUCK YOU SUCKER - Reacting to the "political Westerns", director Sergio Leone did his own take on the Mexican Revolution and the result was the most emotionally engaging film of his career. 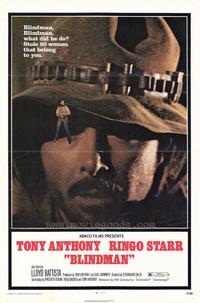 20) BLINDMAN - Adding Ringo Starr to the company, Tony Anthony brought in director Ferdinando Baldi to make his most expensive and most outrageous Western. At the moment I'm in the process of writing my master's thesis on the use of blogs in education. Could you help me a little? Just answer the question here in the comments. Who do you consider the most handsome/beautiful actor/actress and the best director of all time? It can be one person or several people. I will be very grateful for your help. Beams of goodness all around, as we say in Russia.